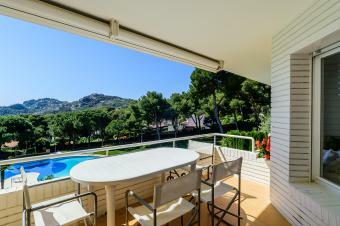 Nice apartment located in a nice community in Fornells, Begur. 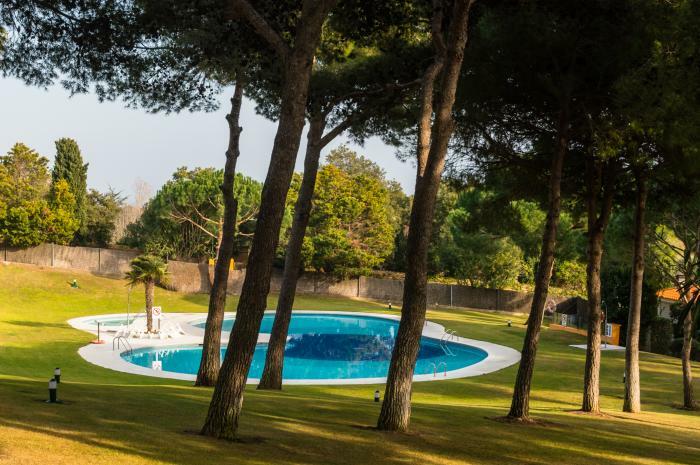 Apartment with swimming pool and communal garden, just 5 minutes walk from Fonda beach and less than 5 minutes drive from Aiguablava beach. This apartment is ideal for a family holiday. It consists of a living-dining room with fireplace and exit to a pleasant terrace with sea views. It has 3 bedrooms: one in a suite with two single beds and a bathroom with shower, the other two bedrooms have two single beds in the form of bed-nests, in addition it has another bathroom with shower and a fully equipped kitchen. It is a very comfortable apartment. It has two parking spaces in the community. TV service not guaranteed due to poor coverage in the area. For any further questions regarding this property, please contact us.